Introduction: Do You Want to Sell Your House Without a Real Estate Agent? Do You Want to Sell Your House Without a Real Estate Agent? If you are a savvy homeowner looking to sell a house by owner, the thought of being able to save $5,000, $10,000, or $15,000 (or even more!) isn’t just tempting; it’s EXTREMELY TEMPTING! After all, you shouldn’t have to spend your hard-earned money hiring a real estate agent, if you can do it on your own! The standard commission for selling a house with a real estate agent is 5%, 6% or even 7% in some real estate markets. As you might guess, that adds up to a big chunk of money and the more expensive your house, the more it adds up! Taking on the challenge of selling your home without a real estate agent makes sense, especially for the DIY type of person. If you perform the steps in this guide, you will learn how to sell a house by owner, on your terms and save THOUSANDS of dollars! But before I get into the steps to selling a house by owner, let’s talk about what this guide is not. This guide is not setting out to bash real estate agents, or debate about the amount of money they get paid in commission for the amount of work they do to sell a house. In fact, I will take a minute to defend real estate agents to say that if you want to use their services to sell your house, then they have every right to charge whatever they want for those services. That’s how all businesses work! Besides, seasoned real estate agents will help you navigate through the complicated process of selling your most valuable asset, your home! I am a licensed real estate broker and like to think (and hope) that I provide value to my clients. However, if you don’t see value in the price of those services, then you can certainly tackle the job yourself. This is what is called selling your own house “for sale by owner,” or FSBO (pronounced “fizbo”). What you are about to read is a straight-forward, no-nonsense, step-by-step FSBO guide to selling a house by owner. I’ll leave out all the fluff and instead give you actionable, detailed information on each stage of the home selling process. Also, I will be including valuable links to further information, so you can go deeper into that topic. The goal here is to give you all the information you need to get your house sold. Follow these steps, and you’ll be selling just like a professional in no time! This first section of this guide focuses on steps to get your house ready for you to sell. As a home seller committing to sell their house without a real estate agent, you should take some time to get everything sorted in advance. That includes spending time undertaking some vital prep work! This prep work includes consulting with professionals, ensuring your home is market ready, and adequately representing and disclosing your home’s condition. The first step in this guide is the most obvious one. To sell a house for sale by owner, you need to be “all in” on the decision. If you already are 100% committed to doing the job on your own, then you can skip over this section. However, if you are still considering your options, then keep reading. If you want to save money and sell your house as a FSBO, then you need to be able to take on the tasks a realtor would handle for you and do them DIY. So before getting in over your head, you should carefully consider the pros and cons of doing these tasks yourself. Most information on the internet about the pros and cons of selling a house by owner will be biased and lean heavily towards pointing out the cons. That’s because, as you might have guessed, real estate agents write most of the articles out there and are attempting to convince you to use their services. You control the process and own the results. You know your house best and can represent it appropriately. You will achieve a sense of accomplishment by completing this challenge. Selling a house costs a lot of money and you can save thousands of dollars in commissions (which, let’s be honest, this is the most significant motivation). It’s difficult to be objective about your own home, and you will directly hear criticism regarding it. You will have to negotiate with buyers and buyer’s agents directly. You may not have expertise in the necessary components of selling a house (marketing, contracts, process, etc.). You need to make yourself available, which can eat up a lot of your valuable time. So after reviewing the pros and cons, you should have a better sense of knowing whether you can take on the tasks of selling a house by owner. If not, hiring a professional realtor is your best option and you should stop reading now! If you are still reading, congratulations! You are a natural go-getter and have accepted the challenge! So! Now that you’re committed and ready to sell your house as FSBO (good for you! ), you should consider hiring a real estate attorney even though you aren’t using a real estate agent’s professional services. In fact, most states require a real estate attorney for the closing process of your home sale anyway! Attorneys who dedicate a significant amount of their practice’s time on real estate like to have “clean” transactions, which means they handle closings from a contractual and legal perspective but try to stay out of the specifics of the deal. Usually, these attorneys leave the deal portion to the real estate agents. They prefer real estate agents to hand the closing portion off to them when it is as squeaky clean as possible. These attorneys won’t replace the tasks a real estate agent does, that’s now your job! Ultimately, this is how real estate attorneys can keep their costs affordable for the seller: they are the closers, and that’s it! You should consult with your prospective real estate attorney before hiring them as your legal advisor, but also hire them early in the process! You’ll rely on them for their legal expertise, so you want them on-board ASAP for any legal issues that can arise. Scrambling to find a reliable, dedicated real estate attorney while you are already in the middle of negotiating will make selling your house by owner particularly challenging. We can connect you with a top attorney in your area, submit the form below to be connected. Depending on your specific situation, the government will want a portion of your proceeds. A discerning home seller (that’s you!) will run their home sale by a tax accounting professional to gain insight into what the sale of their home will mean for their tax outcome. The most prominent tax that you could get hit with is capital gains. Generally speaking, most primary residence home sales are exempt from having to pay capital gains tax. If single, only up to $250,000 of your sale is exempt and if married, up to $500,000. You are also exempt if you owned and lived in your home for at least two of the last five years. These are the most common red flags. There are many others to look out for, which is why you should always work with an accountant. Getting hit with an unexpected tax expense is dreadful! When living in a house for any period, hidden problems tend to lurk beneath the surface until you try to sell it. These issues present themselves as an unnecessary and avoidable headache for you when you are under contract to sell your house. Below I’ve listed how to identify some of these hidden problems and how to avoid them. Even a remodeled home can have issues that need to be taken care of by the sellers (you). Most commonly, these are permits. Unfortunately, DIY homeowners and house flippers are notorious for not pulling the required permits when remodeling a home. Ugh! This becomes a problem when future buyers apply for a mortgage, and the appraiser discovers permits not pulled with the town. Although obviously frustrating, remember that the appraisers genuinely aren’t trying to sabotage your sale. They’re just doing their job. If the necessary permits are not in place, the appraiser will inform the buyer that the mortgage is contingent on all required permits being closed for financing to be approved. If a buyer doesn’t get approved for their mortgage, you will have to find a new buyer, which can mean not only more time and commitment, but that the next buyer will probably have an appraiser ask about the same permits needing closed! Required permits will vary from town to town. So be sure to check with the building department. Here are some of the most common remodeling items that do and do not need permits. Before selling, make sure these are appropriately closed. Pull the permits for anything your town regulations requires. If you didn’t pull permits for work already completed, contact your town on figuring out how you can fix this problem. Almost certainly, when a buyer wants to purchase your home, they will include a home inspection contingency in the contract. An inspection flushes out any defects your home may have and gives buyers to have the right to cancel the contract based on these problems. They can also renegotiate with you and get a better deal on your home. The inspection contingency can put the home seller in a position of weakness when negotiating significant repairs. If you want to put yourself in a place of power, consider getting a home inspection performed by a licensed home inspector before adding it to the market. This will give you an opportunity to address or disclose any major defects to potential buyers. Google “home inspector city state” and check the top results, profiles, and reviews. Make sure to verify the home inspector’s license on your state’s website. If you know in advance that your home has a lot of issues and you are unwilling to repair these defects, either before or during the sale, you should consider marketing your home AS-IS. To do this, you should let prospective buyers know that the house has defects and it sells in AS-IS condition. In the event of AS-IS selling, you should encourage your buyers to get a home inspection, but also inform them that you will not make any repairs or be re-negotiating the sale price of the home. Pro Tip: An AS-IS home sale is often considered a distressed property and will need to be sold at a discount to a cash buyer, usually to real estate investors or someone with a remodeling home loan such as 203K. If saving money is not your main priority and you just want to sell the house as quickly as possible, you should look into “We Buy Houses” for cash companies. But be aware, they only buy your home if you are willing to sell for deep discounts. Want to learn more about the home inspection? Check out my article and video The Home Sellers Guide to the HOME INSPECTION! Your next FSBO task is disclosing your property’s condition. Naturally, selling your house with or without a real estate agent doesn’t mean you can cover up defects in your home. How and what you are legally required to disclose varies by state. In Connecticut, all home sellers are required to accurately fill out a residential property conditions disclosure report” for all buyers or credit them $500 at closing. In Massachusetts, there is a similar form called the “Seller’s Statement of Property Condition” but is an optional document to provide. But almost universally, a home seller cannot cover up a material fact. A material fact is a fact that, if known, might have caused a real estate buyer to make a different decision with regards to remaining in a contract or to the price paid for the house. So if you know about any defects in your home, you have two options: fix or disclose the defects. In fact, if you try to cover up these flaws and the buyer can prove you had known about this condition when it was sold to them, you are opening yourself up to costly legal action. Don’t think it doesn’t happen. I’ve seen it done and have had contractor friends who have been called to testify or give a statement in these types of cases. Ouch! So just be honest. Pro Tip: Typically, probate or estate properties are exempt from property disclosures because the executors of the estate don’t know the properties condition. Also, home sellers are not required to disclose defects of which they 100% do not have any knowledge. If a buyer gets a home inspection and informs you of such defects, you are now required to disclose those defects to the next buyer. This is why it’s best to address defectiveness and issues before putting your home on the market. In addition to the property disclosures, there is a federal requirement from HUD that all home sellers must provide, which is the lead paint disclosure. This disclosure is for homes built before 1978. Because this is a federal law, this applies to all states. In the case of a home built before 1978, as the seller, you need to let prospective home buyers know if you are aware of any lead-based paint in your house and/or if remediation has occurred. Lead-based paint can cause serious problems if ingested, so making sure this disclosure is completed appropriately is paramount. For more information about Lead Based Paint, check out my article that will tell you everything you need to know. Once you have all of the above preparation steps completed, you are ready to move forward with the marketing of your home! The second section of this guide will focus on how to market your house as FSBO. Marketing is a where a talented real estate agent can deliver a lot of value, so make sure to pay attention so you can perform just as well! Appropriate marketing will attract what is called the ready, willing, and able buyers to your home. These are the buyers you are seeking! Activities that make up the marketing process aren’t only advertising related. Staging, photographing, pricing, listing on the MLS (Multiple Listing Service) and advertising are all forms of marketing that FSBO’s need to get right to maximize their results. Did you know that homes with staging will typically spend less time on the market and sell for more money? Staging a home to sell is entirely different than decorating your home with your style. A staged home triggers positive emotions in potential buyers and helps them envision themselves living in your home. These types of reactions are what sells! When selling your house as the owner, you should consider hiring a professional stager. They can help you stage your home for only about a $200-$300 fee. They walk room by room and explain exactly what you need to focus on and then provide you with a written report. It is well worth the money to understand how to apply these staging best practices to your home! Declutter: Try to remove unnecessary items from your house except for the necessities. Depersonalize: Buyers want to envision themselves living in your home, not you and your family. Clean: A deep cleaning should eliminate odors and make a home look fresh. Neutralize: Repainting and removing bold colors will help appeal to a broader amount of buyers. Remove extra furniture: This will help make your home look more extensive and more spacious. Maximize lighting: Broaden natural light and use brighter light bulbs to increase interest in your home. Pro Tip: If your home is vacant, you should invest in staging your home with rental furniture. This will help buyers picture your house as a home, and help them see themselves living there. Shop around for home stagers that offer this service and find one that will do it for a reasonable cost. Even if it is just staged with furniture for the first 30 days. Which will include getting your home photographed and the first round of motivated buyer showings. Check out the National Association of Realtors “Profile of Home Staging” for all sorts of great information and statistics on home staging. For more information about home staging, check out my guide “How To Get Your House Ready to Sell: The ULTIMATE Preparation Checklist” that will tell you everything you need to know. As a professional realtor, whenever I list a home, I make sure to order professional photos. These are the biggest bang for your buck regarding marketing dollars spent. Whenever I see bad MLS real estate photos, I know it will, unfortunately, cost the home seller money. Today, buyers tend to browse homes online in the MLS, or in real estate portals such as Zillow, Realtor.com, or Trulia. These sites all extensively feature not only stats about your home, but photos! Your photos are the first impression people will have of your house. This first impression will either reel buyers in to view your home in person, or cause them to pass over your house and instead, check out your competition. If you have a quality camera with a wide angled lens and have photography experience, you can probably do an acceptable job taking the photos on your own. However, if you don’t have photography skills or the necessary equipment, then you should seriously think about hiring a professional real estate photographer. For only a couple hundred bucks, a professional real estate photographer will come to your home and photograph both the interior and exterior. They will take inspiring photos from all the right angles and even run the images through photo editing software to make the end result as alluring as possible. If you want to find a decent real estate photographer, just do a simple Google search of “Real Estate Photographer City State” and check out some of their online presences and previous work. If you feel you can do it yourself, than you will need to make sure the photographs are of the highest quality. The absolute best form of marketing is an appropriate price. Price is where most FSBO’s get it wrong. Even sellers working with a real estate agent can get this wrong. That’s because people want to get the most amount of money for their home when they sell it. Naturally! But they think the best way to get more money is by listing their home for sale at a higher price than it is worth and this will translate into a higher sales price. Overpricing a home is the single biggest mistake you can make in the sale of your home. People know the market and how to research. Information is available everywhere these days. When a house hits the market as overpriced, it will likely sit on the market until the sellers come down on the price. Contrary to an overpriced house is a home that is for sale at or even slightly below market value. Houses that follow this pricing strategy will no doubt sell quickly and usually for multiple offers. This relates to the psychology of buyers and using their emotions in your favor. Buyers feel a sense of urgency when a home hits the market at a reasonable price and are quick to put in solid offers. Most well-informed FSBO home sellers pay attention to the market and know what homes are selling for in their neighborhood. If you decide to ask a realtor, please don’t ask them for a comparable market analysis of your home without any intention of ever listing your house with them. Nobody likes being jerked around or doing work for free. However, if you let them know you are planning on selling your house by owner and that if it doesn’t work out, you will then consider them for the listing, there is a better chance they will be receptive to helping you out. Pro Tip: When listing your house, consider pricing in even numbers, for example, $250,000 vs. $249,900. When buyers are searching for homes in real estate portals the increments are in even numbers. If you price your home at $250,000, it will show up in searches for $200,000-$250,000 as well as $250,000-$300,000, meaning your house gets maximum exposure! Want some pricing strategies to help you out? Be sure to watch the video 3 Pricing Strategies for FSBO’s . The next owner of your home is out there somewhere, and you need to attract them to your home. One of the best ways to target buyers is by efficiently writing about your home in online descriptions. Efficient writing is an opportunity to describe your home in your own words, capture a buyer’s interest, and match their needs. Make them want that showing! You want to highlight your homes features and selling points which could be the greatest of interests to your targeted buyer! For example, a small condo will usually attract young, first-time home buyers or retirees looking to downsize. If your home is large and has 3-4 bedrooms, your targeted buyer probably has a family or another need for extra rooms. But also, don’t overthink the description of your home. This isn’t the time to write a novel by putting your abundant writing skills to use! Stick to the basics, and you’ll write the perfect description. Size: You want to talk about the number of square feet, both above grade and in a finished basement. Describe the number of bedrooms and bathrooms, making sure to call out any specialized rooms, such as home offices, in-law suites, or sunrooms. Layout: Describe the floor plan. Is it open or does it have separate rooms? Is your home a single-level or multiple levels? If you have a first-floor master bedroom, make a note of it. Make sure you specify anything that might make a difference to a potential buyer. Location: Is your home located in a neighborhood or on the main road? How about on a cul-de-sac? Do you have a large yard or a smaller one? These are all features that you want to describe because they are important to your buyers. If you live close to area amenities, such as shopping, dining, or highway access, you can also describe these as “in close proximity to” said areas. Sometimes home sellers experience writer’s block and need help writing a description of their home. If so, below is how to craft the ideal description for selling your home. You can expand on these examples if you would like for your homes description. Put these sections together and that’s it! You have a perfectly crafted description of your home! Keep it concise and factual and make sure you don’t include any discriminatory language that would exclude or discourage any groups of people from purchasing your home! The MLS is a database of all the homes for sale in your market, and you will want your house in this database. Unfortunately, only a licensed realtor can list a home for sale in the MLS. Check out my page How To List a House on the MLS to understand how and why listing your house in the MLS, will actually get you more money when you sell you house by owner. For a real estate agent to do this, you’ll need to hire them as your listing agent and pay them a commission. Typically, a real estate agent handling the entire sale will, as mentioned, charge a commission of 5%, 6% or even 7% in some markets. Usually half of the commission goes to the listing agent, and the other half goes to the buyer’s agent. The advantage of having a listing agent list your home for sale in the MLS is the MLS is the central hub where most active buyers working with buyer’s agents are searching for homes. Most buyers are working with a real estate agent. So by having your home in the MLS, you get access to the most targeted and qualified audience of people who could buy your home! The tradeoff is this will cost you thousands of dollars in commissions. However, there is a way for you to list your house in the MLS and avoid paying a listing agent’s commission: this is what we call a flat fee MLS listing. These listings have an upfront, low, flat fee instead of that far less desirable high commission you would pay to a listing agent. That means you get to keep more money in your pocket! A flat fee MLS listing allows you to list your house on the REALTOR’s MLS and still sell your house “FSBO”. You save thousands of dollars with this type of listing by only paying a buyer’s agent’s commission! The best part is if you sell your house to a buyer who isn’t working with a real estate agent, then you don’t have to pay any commission at all! Even more money you get to keep! If you are selling a house FSBO, this option is hands down the preferred choice for you to get the most money by bridling the tremendous volume of exposure you’ll get by being listed. When you purchase a flat fee MLS listing, your home also will be syndicated out to major real estate portals including Zillow, Trulia, Realtor.com and even all the real estate brokerages direct websites such as Coldwell Banker, Keller Williams, and Century 21. This is due to syndication agreements that flat fee real estate brokers have in place with all these 3rd party companies and you benefit from those relationships. This listing type also means your listing will always stay up-to-date and you won’t have to worry about handling your home’s listing individually on hundreds of websites. How cumbersome would that be? One thing to watch out for is that some FSBO websites will advertise that you can list your house FSBO on their website and home buyers will shop for homes for sale directly on their website. These websites don’t list your house on the MLS. In reality, very few home buyers are shopping for homes on these sites. The majority of home buyers are using the MLS, Zillow, Trulia, Realtor.com, Redfin, Homes.com and the other major real estate websites. Want To Learn More About Selling a House With Us? Every state and even county is different and it's important to work with a company that will navigate you through the correct options in your local market. We are a nationwide network of the best real estate brokers that offer flat fee MLS listing services. Our service has been helping people just like you save you thousands of dollars when you sell your home since 1997. Find out how by selecting your state below. See Cape Cod & Island Options! Listing your house in the MLS, making it look terrific both in-person and in photographs online, and listing at an appropriate price is what I call “the magic formula” to sell your house. These activities are what you want to spend the most of your time and effort on. Although, as with just about anything, a little extra effort can yield quality results! For example, a high-quality real estate flyer distributed around town, on local bulletin boards, or even through social media. But you don’t want these flyers to look like an amateur did them. Large amounts of money are at stake! After all, homes have a high price tag, and the marketing materials should reflect the same! What’s the solution? Soould you hire a professional graphic designer to make top quality real estate flyers? If you are reading this and are a talented DIY type of person, you can make professional-looking flyers for free- especially with the availability of free software on the internet! One of my favorite options for creating FSBO real estate marketing materials is Canva.com. This website got it right! They have a simple, easy-to-use interface with a ton of free templates, designs, and images. Also, the options that do cost money are so inexpensive that you would probably only spend, at maximum, a few dollars. Pro Tip: You can really get creative with Canva’s easy to use graphic design website. I make all the graphics you see on this website with them as well as all my advertising from both my website and homes for sale. Create an account today and get started! It doesn’t get any simpler than that, and as mentioned, the user interface is very intuitive. Check out this flyer I made right from using their templates. When you are satisfied with your design, download your home’s marketing materials, print them out for flyers, or keep them electronically to email or post to social media, as I’ll describe in the next section. Hopefully, you’re getting excited about putting your flyers to work to market your house! My favorite recommendations for FSBO home sellers is to use social media to generate buyer interest in your home. You have a few reliable options for doing this. You can announce your house is for sale by using your Facebook or Instagram account. Post the design you created (in Canva.com) or even just a few pictures of your home. Your friends and family or online followers will love to interact with these types of posts, and you should get some solid engagement. Perhaps even go viral! Be sure to ask people to share or tag someone who might be interested. After all, this is what social media is for: to be social online! But don’t stop at just posting to your page! If you haven’t discovered Facebook groups yet, now’s the time! There are a ton of groups out there that are neighborhood, town/city or even local real estate related. These groups are jam-packed with people who live or work in and around town and either could be interested in purchasing your home or would likely know someone who might be interested. To find these groups, you can open up Facebook and in the search bar, enter your town/city name and check out what groups pop up. You may need to try a few different searches to see what you find. When you find some that look promising, request to join them. Once the admin of the group approves your request, you are ready to post to the group! Before posting, though, make sure you read the rules of the group first to make sure this type of post is allowed! Honestly, I have found that most people react positively to posting your house for sale in these groups. Even better: interaction and engagement are quite high! Especially when posted by homeowners. When real estate agents post houses for sale, people generally consider it to be self promotion or spam! Once your marketing ducks are all in a row, and you generate some buyer interest, you next need to get to work on actually selling your home. These are another set of activities that real estate agents are talented at so you will most likely need to bring your skill set up to speed. You’ll need to work diligently on everything from showings, to open houses, to negotiations, to accepting an offer and then successfully navigating through escrow to get to your closing. These next steps should help get your house to the closing table. Showing your house to buyers is where all of your hard work comes together! This is how your home will get sold! If you make your home look perfect on the day of your showings and you’ve priced it appropriately, you are likely to receive an offer. Not only that, possibly even multiple offers! They say the first offer you get will be your best offer, so making sure your first showings go smoothly is of critical importance. Make yourself available to answer showing requests from both buyers and buyers’ agents. People today want instant results. Ideally, you want to act on showing requests immediately or shortly after receiving them. Try to make your home available at any times that a buyer wants to see it. If you start restricting the times your home is available for showings too much, it will make it hard for buyers to come and see it, which is the exact opposite of what you want. To get your home showing-ready, you should make it look as good as possible. Here are the main items to focus on before showing your home. Lighting: Let as much natural light in as possible and turn on all lights. Space: Put away your daily clutter, make the beds, and make sure the lawn is freshly cut. Cleanliness: Empty all trashcans, sweep or vacuum, and wipe down all counters and tabletops. Temperature: Open windows and let in some fresh air. Depending on the season, turn on the heat or A/C to make provide a comfortable indoor temperature. Smells: Neutralize any odors with a scent neutralizers or a subtle scented candle but be sure to blow it out before leaving! These are general recommendations, of course. Tailor them to your situation. Most home buyers are going to expect you to be out of the house for showings if an agent accompanies them. Ultimately, that’s up to you. If you are okay with an agent showing the home while you are not home, you should place a key-containing combination lockbox on the front door. This will allow the agent to access the home while you are out. You could also let them in and then leave for the showing. However, as you might guess, I don’t recommend allowing buyers to access your home when you are away if they don’t have an agent. Schedule these types of showings at a time you can show them the house. When you show your house to buyers directly, you can follow the tips below to make sure the process goes smoothly. Secure your valuable items to be safe. Make sure you are not home alone for the showing. I recommend at least two people. Know where the buyers are in the house at all times. When the buyers show up, engage in small talk for a few minutes before showing them around to find out what they are looking for in a home. When showing buyers around, don’t overdo it. Just highlight 1-2 items per room that are selling features. Tailor any features your home has to what they are looking for in a home based on your previous small talk. Be open and honest about the home. People don’t expect any house to be perfect. Tell them everything the neighborhood offers such local parks, shopping, dining, walking/biking trails, etc. Ask them for any feedback when you are wrapping up: how they liked the house, do they think it might be a fit for them, etc.There is nothing you can say to convince someone to buy your home if they don’t want to. Just ask the questions, listen, and answer any questions they might have. Make sure to give them your contact information so they have it handy for any follow-up questions or, even better, if they want to submit an offer. At this point, you’ve done everything you can and unfortunately just have to wait. Don’t contact them repeatedly to see if they will submit an offer. If a potential buyer wants to make an offer, they will contact you. Not everyone wants to wait for people to contact them for a showing on their home. When people list a house for sale, almost everyone thinks about holding an open house to generate foot traffic into their home. Buyers who are actively looking can swing by during the time(s) you are holding your open house, have a look around, conceivably fall in love with the home, and submit an offer! That’s the hope, anyway. The reality can be very different. Open houses are a considerable way to get people into your house, but are those people qualified or even interested in purchasing your house? That’s the great debate in the real estate industry: whether open houses lead to sales. But that’s a long debate! Just consider your home selling safety and time management to decide if an open house is right for you. Get the word out! Advertise! When you sell on the MLS with a flat fee MLS listing plan, you can request adding an open house to your listing. Be sure to request your open house by no later than Wednesday if you plan on holding your house open on Sunday. This way your open house has plenty of time to circulate to potential buyers through MLS alerts or real estate portals. Most homebuyers who are looking for houses online are keeping an eye out for open house alerts through these online systems. Create an open house flyer like the one below, just like I described above with Canva. Share this document electronically on Facebook in the same way I also described above. See example below. Put up plenty of open house directional signs around your neighborhood and main streets. Help people easily find your house as well as attract potential drive-by traffic. You can purchase these signs online or at a local home improvement store such as Home Depot or Lowes. Make your house look its best. Just like you did for your homes photographs, be sure to make your house is able to pass a white glove inspection. This is a beauty contest, and your house is about to be judged by prospective buyers! Remember, personal safety is the first priority. Have at least one other person at the open house with you. If anyone creeps you out, you have the right to ask them to leave politely. Lockup any high-value personal items or put them off-site. Make sure your home looks it’s best and smells really good. Use the same checklist above regarding preparing for a showing. Have a flyer about your homes listing details and disclosures, as well as your contact information printed out to hand to buyers. Greet people at the door, thank them for coming, and ask them if they want you to give them a tour or if they prefer to walk around by themselves. Don’t bombard people with questions. Instead, ask them if there are any questions you can answer for them about your home. After the open house is complete, make sure all windows, doors, and basement hatchways are locked to prevent burglars from coming back at night. Holding an open house can give you some quality intel about your home. It’s an opportunity to understand how buyers feel about it. People can be brutally honest, which is what you want, but a lot won’t feel comfortable giving feedback directly to homeowners. To still get that valuable feedback you’re looking for, have a feedback form printed out and ask buyers to fill it out on the way out and drop it in a bin by the front door. Or ask them to drop it in your mailbox. What did you like about the home? What did you dislike about the home? How does this home compare to others you have seen? Based on the results of your open house and the feedback received, you should be able to piece together if you have positioned your house to start receiving offers or if you need to take corrective actions. Are you a skilled negotiator? Does your background and experience qualify you to successfully negotiate the sale of one of your most valuable assets? If so, or you are just comfortable with negotiations with both buyers’ agents and buyers directly, you are in stellar shape for a FSBO sale of your house! But remember that you don’t know it all. A well-performing realtor negotiates deals for their clients all the time. They know which pressure points will sway the deal in their client’s favor or how to open up holes for renegotiation once in escrow. A professional realtor understands negotiation power and uses that to their advantage. For example, a realtor would know that a house that has been on the market for a while has lower negotiation power than a house that just hit the market and is priced right. But don’t fret, most residential real estate contracts are not overly complicated as long as you understand what you are negotiating. Your first list is of your ideal contract terms. Your second list is of the bottom line terms you will accept. In most cases, the contract you accept will be somewhere in the middle. Depending on whether the market is a sellers’ or buyers’ market can weigh heavily on how aggressive you want to be in your negotiations. But in any market, don’t negotiate with a heavy hand. It sets a harsh tone for the deal with your buyers, and it could cause a painful transaction. Always try to figure out a way to get to “yes.” This means you should look for solutions with an open mind and find out what is essential to the buyers. This is how you put a deal together. But before you spend a lot of time negotiating with a buyer, you also need to make sure they are a serious buyer and not just taking you for a ride! You can do this by making sure they put an offer down on paper before entering into direct negotiations with them. This is a great way to ensure you are not wasting your time! Finally, you might be wondering how real estate negotiations take place in today’s market. Surprisingly, it’s probably a lot less dramatic than you might think. Most people will send along an offer to purchase your home as an attachment in an email. A competent agent will also give you a call to make sure you received and understand the offer. Once you receive this offer, you need to either accept or counter the offer. Again, usually performed by email, but you can also pick up the phone and verbally talk it through with the relevant parties. But you do need it to be on paper to be official and binding. If you find yourself at an impasse, then remain calm and most importantly, be polite. You never know what could happen next. Of course, hopefully, that won’t happen, and you get a deal in your favor! Both you and the buyers have signed a contract. You receive the deposit check from the buyers. But don’t accept the deposit check and deposit it into your personal bank account. Check with your attorney for handling the deposit of funds. There tend to be two options for the deposit if you are selling without a real estate broker. Use the buyer’s agent’s broker’s escrow account. Use your attorney’s escrow account. Once you have a signed contract and the deposit has been received, you are officially in escrow! All of that hard work is paying off! So what is escrow anyway? Escrow is the period in between accepting an offer on your home and closing. This is a milestone, so you should take some time to celebrate! Although, just because you accepted an offer, this doesn’t mean the sale has been completed. Sadly, many deals fall apart during escrow, especially if you have contingencies in your contact. The two most common contingencies are the home inspection contingency and the mortgage contingency. Getting through the home inspection contingency should be a breeze if you followed my previous advice about getting a pre-sale inspection and then fixing or disclosing any defects found. If you did not perform any of those recommendations, then be prepared to deal with some issues after the home inspection. The buyers may discover some defects that were not known to them at the time contract was signed and they have the right to request the seller to make repairs or reduce the price of the house. The mortgage contingency means the buyer can back out of the contract if the bank does not lend them a mortgage to purchase your home. The most common times a bank will do this is if the appraisal comes at lower than the purchase price or if the buyer doesn’t meet the full underwriting criteria. Both of these contingencies have a ton of opportunity for the deal to go south. If they do, you can always put your home back on the market. Or, if you want to try still to make it work with the buyer, there is opportunity to renegotiate the terms of the deal. When you negotiated your contact, these contingencies had dates associated with them. The countdown starts when the contract is signed. As a home seller, the buyers have the majority of work to do, but you still have items to check off on your end. Please take some time and check out both of the links below so you can completely understand both the ups and downs of the above contingencies. They can have numerous complications of which you should be aware. After both of the dates defined in the contract for these contingencies pass, they are technically removed, meaning you are even closer to closing on your home! But what happens if someone needs to back out of the real estate contract? Well, that is a complicated answer. Typically, if the buyer wants to back out during either the mortgage or inspection contingency timelines, they can. These contingencies are usually written relatively loosely and allow the buyer to exit the contract and get their full deposit back. Same for any other contingencies that may be in your real estate contract. Always refer back to the contract you signed as your source of information! If a deal does fall through, in order for any deposit funds to be released, both the buyer and the seller must sign off on the termination of the contract and release of deposit funds. If either party wants to get out of the contract and the other does not, that is a conflict that will require an attorney or even mediation through the courts. If a buyer wants out of the deal for a reason that isn’t allowed in the contract, then typically through mediation or even a lawsuit, the seller can keep some or even all the deposit. If a seller wants out of the deal for a reason that is not allowed in the contract, then the buyer can sue for damages or even force the sale of the home as defined in the contract. These all depend on your specific situation and is clearly a scenario to be discussed with your attorney. If they happen, it’s best to work it out fairly and move on without as little drama as possible. Know that the escrow process rarely goes entirely smoothly. Keep this in mind to keep your wits about you and to prevent a stress-induced meltdown! You should also know that the closing date in your contract can change, especially if the buyer’s mortgage will not be ready for funding in time. There is a legal term that is called “time is of the essence” that needs to be put into contracts for the dates to be exact. Double check with your attorney if this is a requirement you need to have to close by a specific date. With a real estate transaction, anything can happen, and it’s impossible to predict what turns the deal will take. Fortunately, in most cases everyone wants the deal to close and will work together to make sure that happens. Once everything seems right, the closing can be scheduled. That means it’s time to start getting ready for the closing and moving out! Finally! All of that hard work is finally about to come together! Know in advance that the day of closing can be crazy. As a seller, you will need to have all your belongs packed up into moving boxes and everything out of the house for the buyers to conduct their final walk-through of your home. This walk-through is the buyer’s last chance to take a solid look at how you are leaving the home and assess any damage or missing fixtures they were not expecting. Most real estate contracts require that you leave the house in “broom clean” condition. This is fairly subjective, but most interpret “broom clean” to mean that everything will be removed, picked up, wiped down, swept, vacuumed and in working order. Check the walls for any nail holes or paint scuffs. If you see any, fill them in and touch up with paint. Sweep any hardwoods or tile and do a quick mopping. On carpets, you should vacuum or do a quick deep steam cleaning. Scrub down the kitchen countertops, sinks, and appliances. Wipe down the inside and outside of the kitchen cabinets with a damp cloth. Make sure your refrigerator has been emptied, defrost the freezer, and wipe down the shelves and drawers. Clean both inside and outside of the oven, including around or under the stove’s burners. Clean and scrub the bathroom, including all toilets, sinks, showers, and baths. Dust down and light fixtures, blinds, window sills, fireplace mantles, or other surfaces. Windows should be cleaned both inside and outside. These are proactive measures to make sure your closing goes smoothly. The closing typically occurs at the buyer’s attorney’s office, a real estate brokers office, a title company’s office, or anywhere else agreed upon. Depending on your state, the closing customs may change and what is normal in one area might not be normal in another. One thing you can ask as a seller is if you can pre-sign all the closing paperwork with your attorney. This will allow you to skip out on attending the actual closing. This can help reduce the craziness of the closing day. At the closing, the deed transfers to the new owners, and you have officially sold your home by owner, CONGRATULATIONS! Yes, that was indeed a lot of information for you to digest. Don’t think you are going to remember it all, though. Instead, just refer back to this guide during the various stages of your home sale process. When you successfully sell your house by owner and save thousands of dollars, it will all have been worth it! I’d like to leave you with a couple final thoughts on selling. First, if you are not getting the results you want, then review the information in this guide and immediately take corrective action. Or read my tough love article, Why Isn’t My House Selling??? Usually, the price is wrong. To sell, you’ve got to have the right price. The best pricing corrective actions you can take if you are not selling is $5,000 or even $10,000 price adjustments every two weeks until you are getting multiple showings a week and receiving offers! Second, I want to emphasize that selling your house is all about focusing on what matters and ignoring a lot of the noise. You will get the best results by focusing most of your efforts on what I call the “Magic Formula“. I hope you found this FSBO guide useful and answered EVERY question you had on the process of selling a house without a real estate agent. We WANT to hear from you, please tell us what you think about this guide or if you have any questions by dropping a comment below! About the Author: This article was written by Kris Lippi, the Owner of ISoldMyHouse.com and Broker of Get LISTED Realty. He enjoys writing about real estate related topics such as buying and selling homes, how-to guides for around the house and home product recommendations. 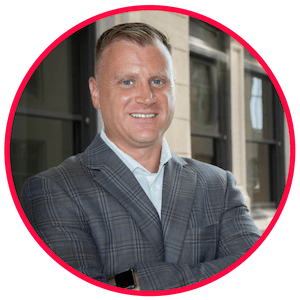 He has been featured in Inman, Readers Digest, American Express, Fit Small Business, Policy Genius, Lending Tree, GoDaddy, Manta as well as others. Want to know more? Read more here. You are very welcome Karl! Thanks for the great tips for selling our house. My wife and I really want to sell our home quickly so that we move in the near future and we will be sure to read this guide again! Come back and read it anytime! Wow, this is really informative and helpful. Great blog by the way and thanks for sharing this useful information! Thanks for the compliments Richard!